Are you looking for the best beaches in Ontario? 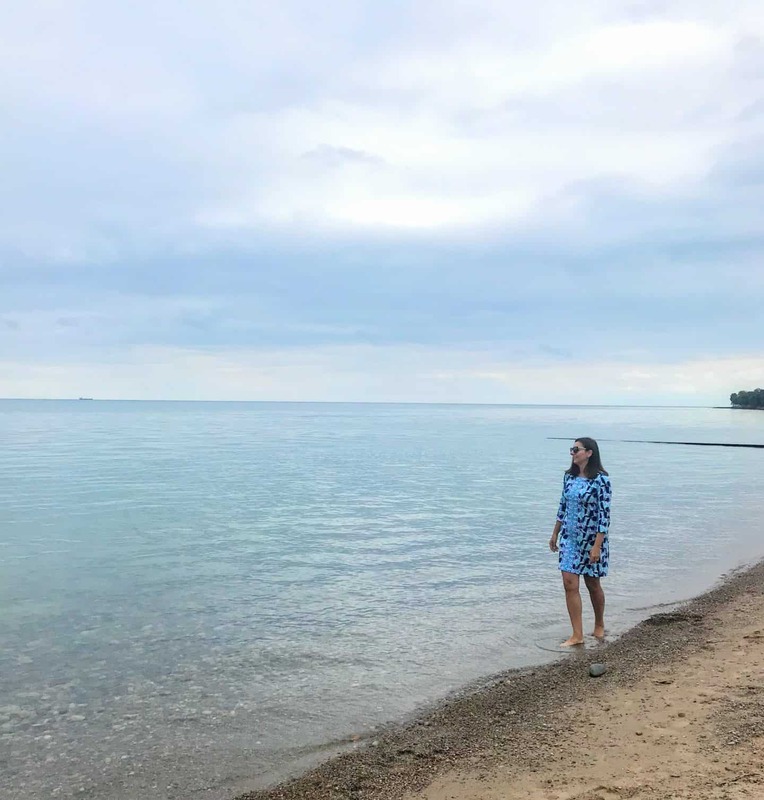 I am always on the hunt for the best beach getaways but who knew that not too far from home are some of the best beaches in Ontario. Some friends and I headed out on a girls road trip to explore Southwest Ontario. 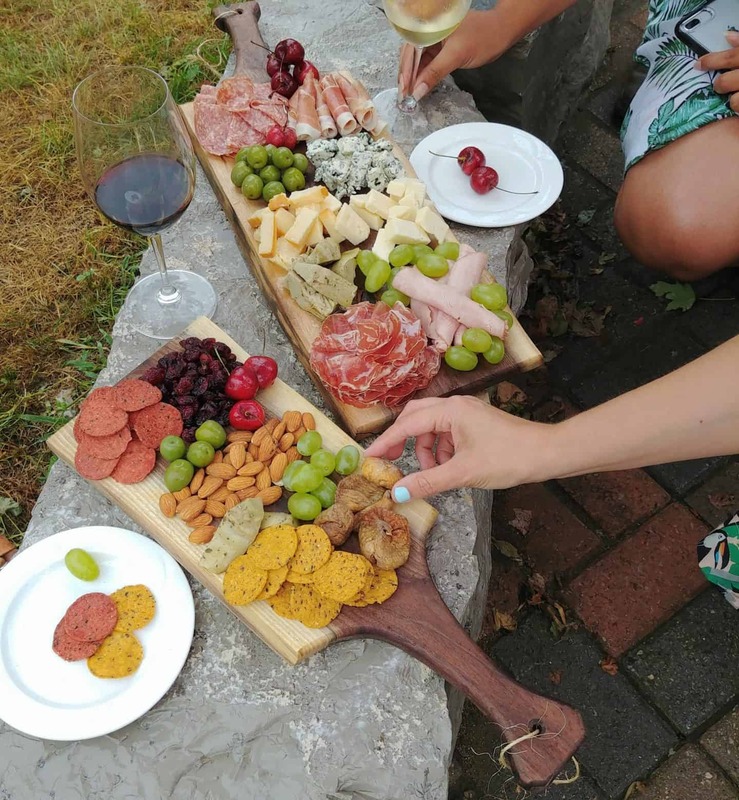 We explored some of the most amazing beaches in Ontario and feasted at some of the best restaurants and wineries. I was extremely surprised that we have such beautiful beaches in Southwest Ontario and only a short 3-hour drive from Toronto. Who knew there were gorgeous crystal clear beaches located in Ontario. 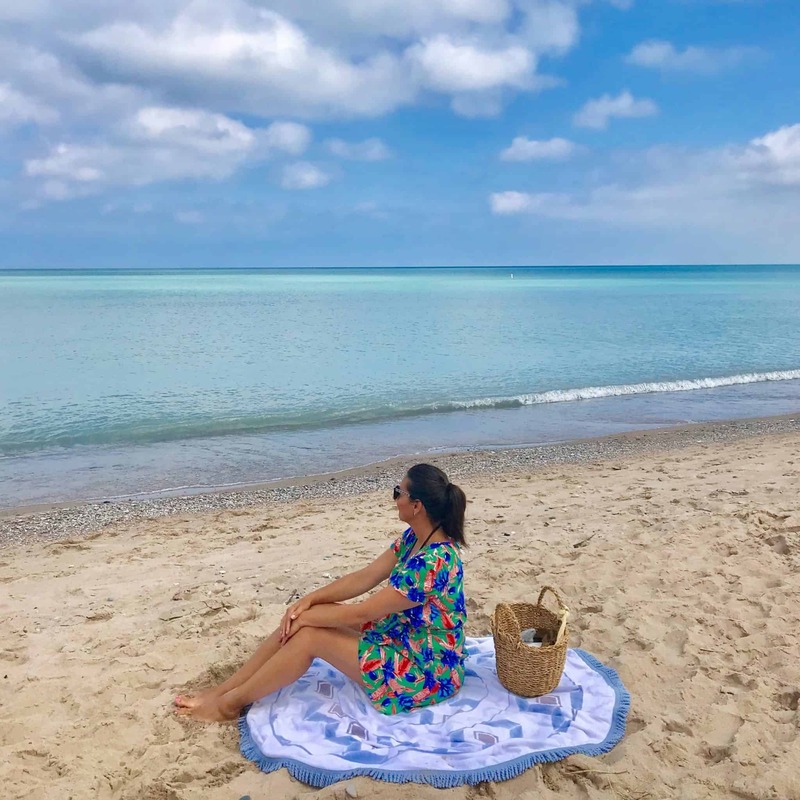 Canatara Park’s sandy beach is located in the heart of Sarnia in Southwest Ontario and stretches a kilometer along the shore of Lake Huron. It is one of 26 internationally renowned Blue Flag beaches in Canada that meets the strict water quality and safety criteria. The beach is wonderful for families and also features mats to make it more accessible for wheelchairs and strollers. 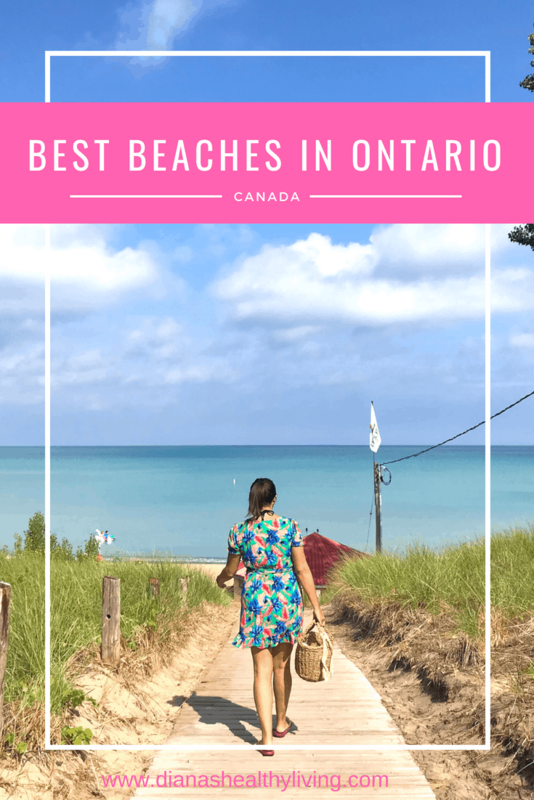 It makes my list of best beaches in Ontario. Check out this Canatara Park cheat sheet for even more tips! 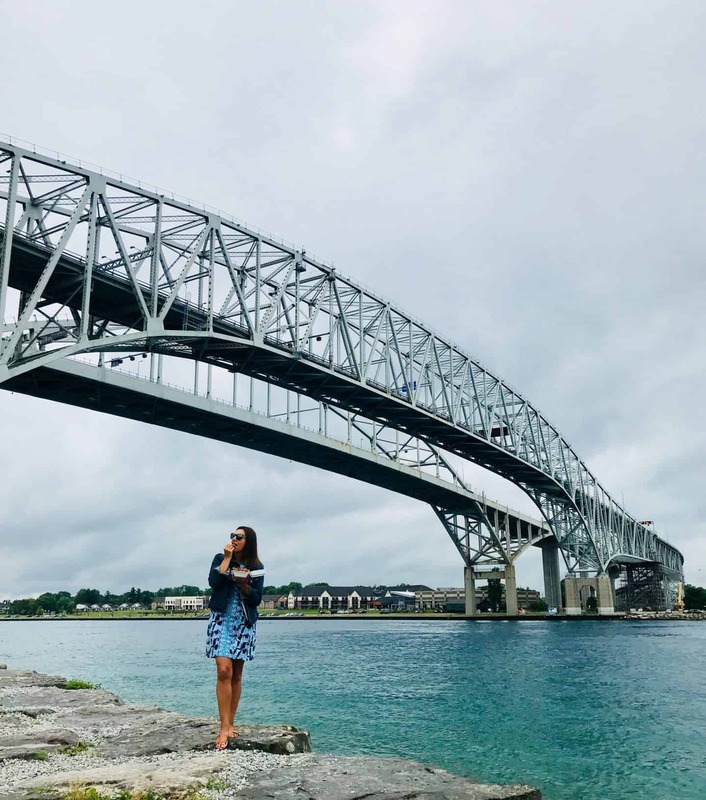 The Blue Water Bridge is a twin-span international bridge across the St. Clair River that links Port Huron, Michigan, United States, and Sarnia. 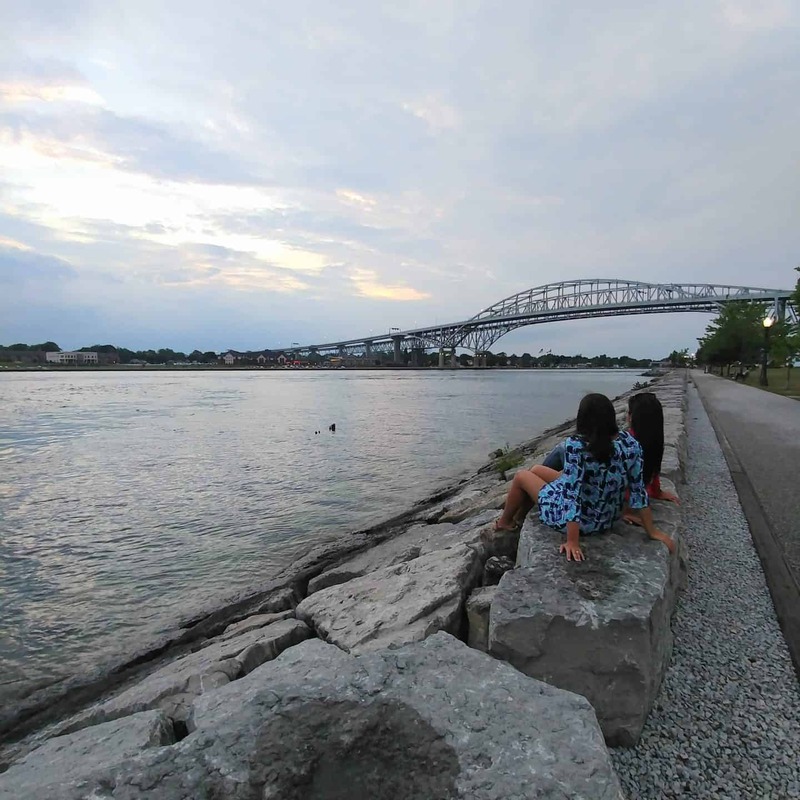 Don’t forget to stop and try the best fries in Sarnia, the famous Albert’s bridge fries. You will see locals and tourists flock to try these tasty fries. You can’t visit the area without indulging in these addictive fries. 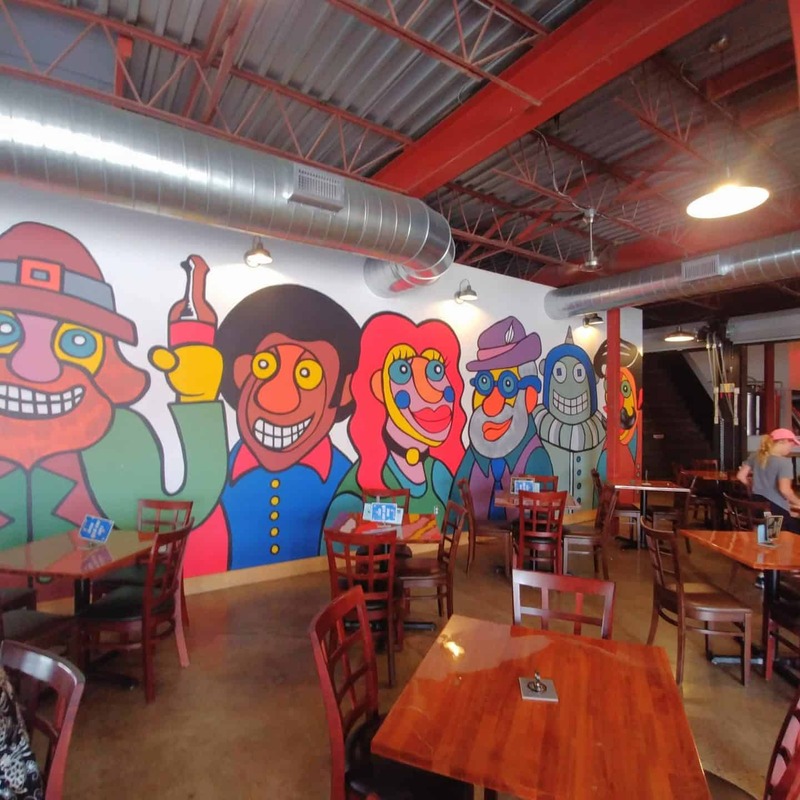 Downtown Sarnia is known for their craft beer, hipster eateries, and coffee shops. If you are a foodie, you are in for a treat. Café Mexico truly is a little piece of Mexico that was brought to Sarnia by a group of friends. 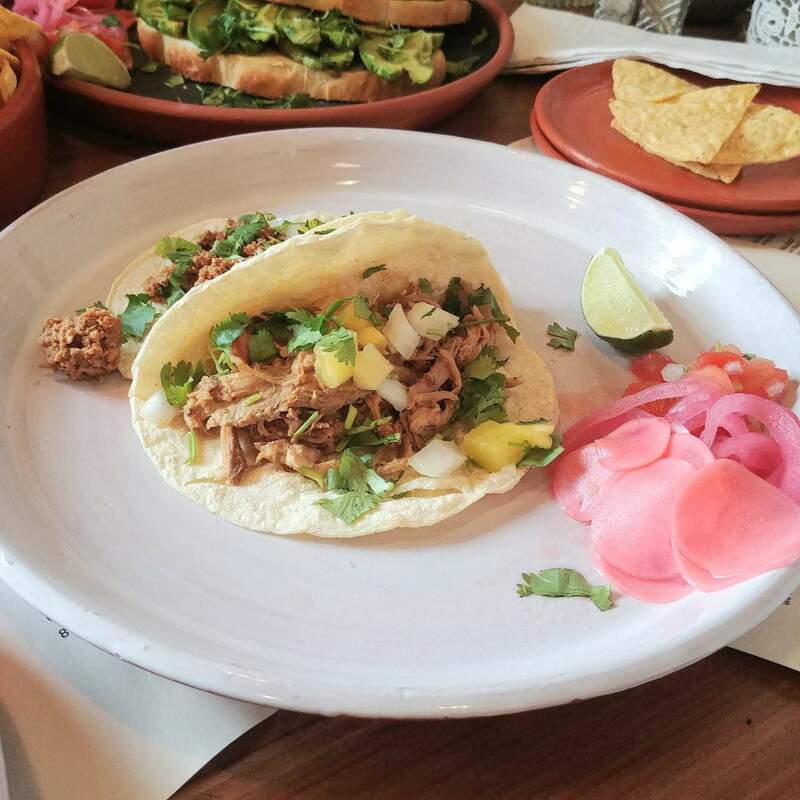 This restaurant is passionate about sharing the experience of the culture, tradition, and hospitality that is Mexico. 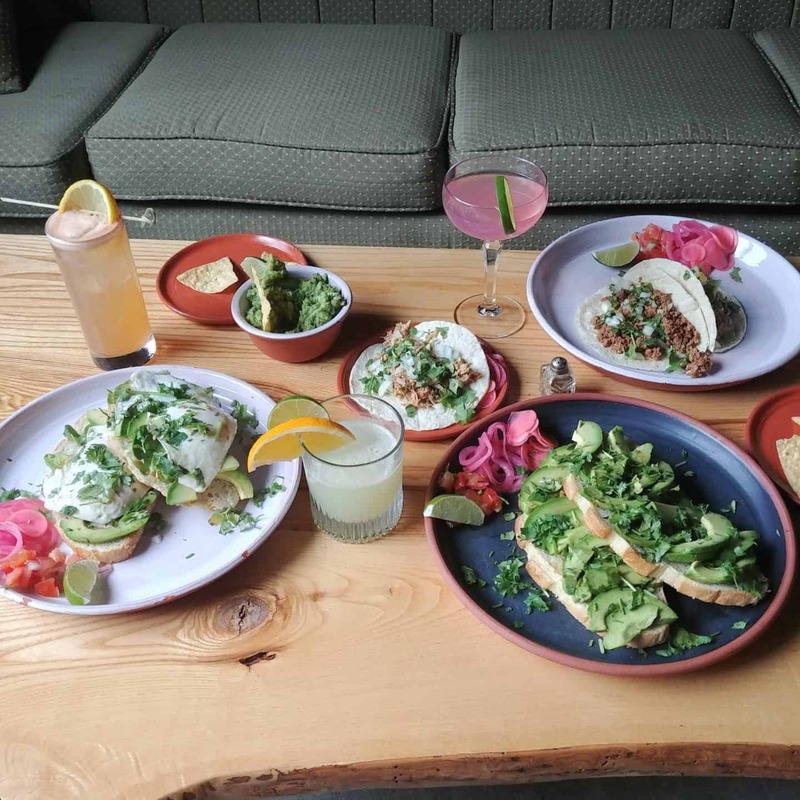 I would recommend the chorizo tacos and the Negroni cocktail (Gin, Campari, Sweet Vermouth). 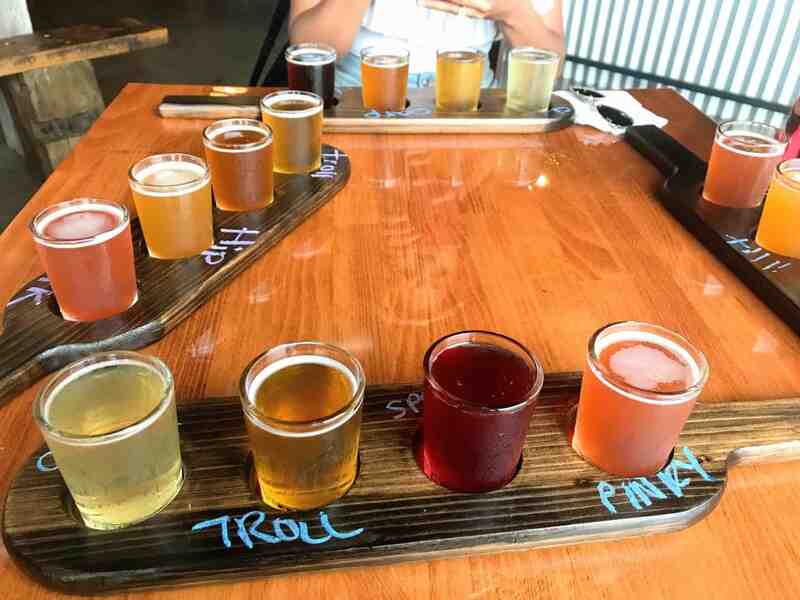 If you love craft beer then you must stop at Refined Fool for a tasting. It is a very popular spot for locals so I would recommend getting there early. 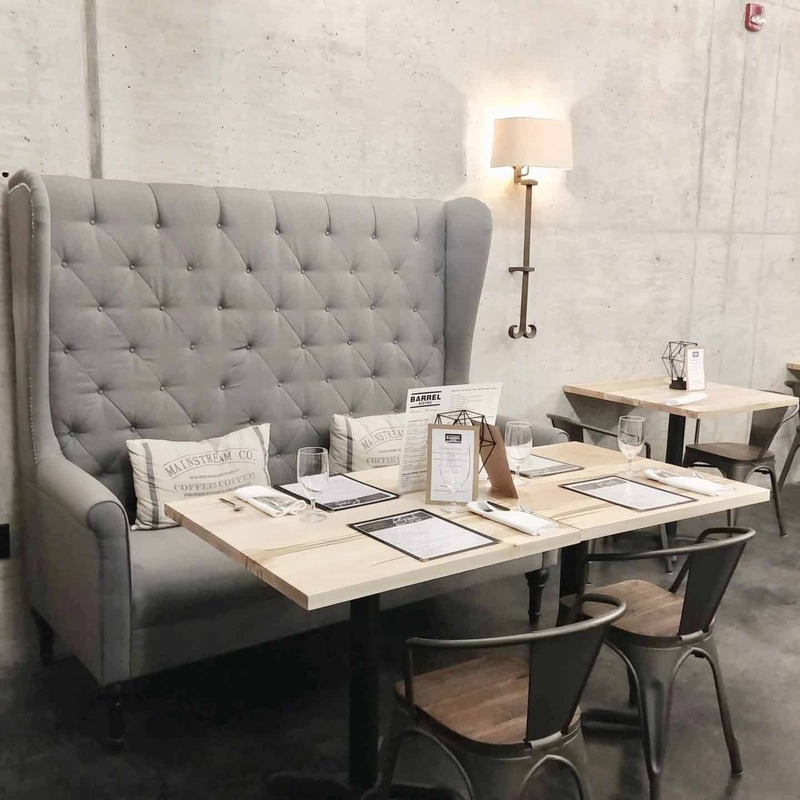 MATCH Eatery & Public House is a modern pub offering a classic menu with a contemporary twist. The restaurant is located in the Casino. Very convenient for a fun night out. They offer indoor and outdoor seating. 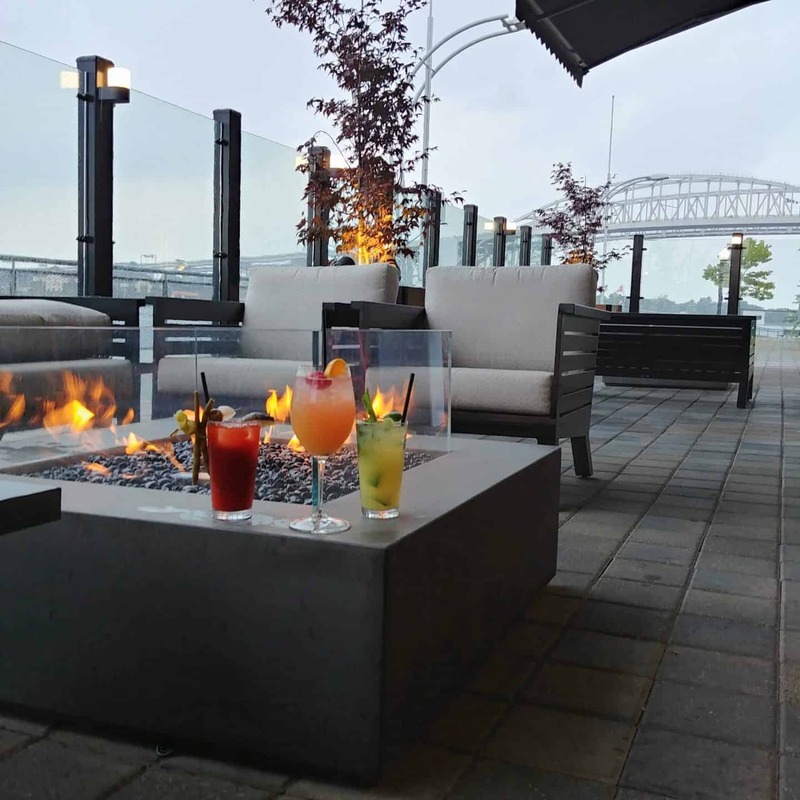 The spacious patio has spectacular views overlooking the St. Clair River. The Babuska Poutine caught our eye so we had to share this unique dish of fresh cut fries, mini pierogis, bacon, cheese curds, sour cream, green onion, signature Guinness gravy, it is great for sharing as well as the nachos. 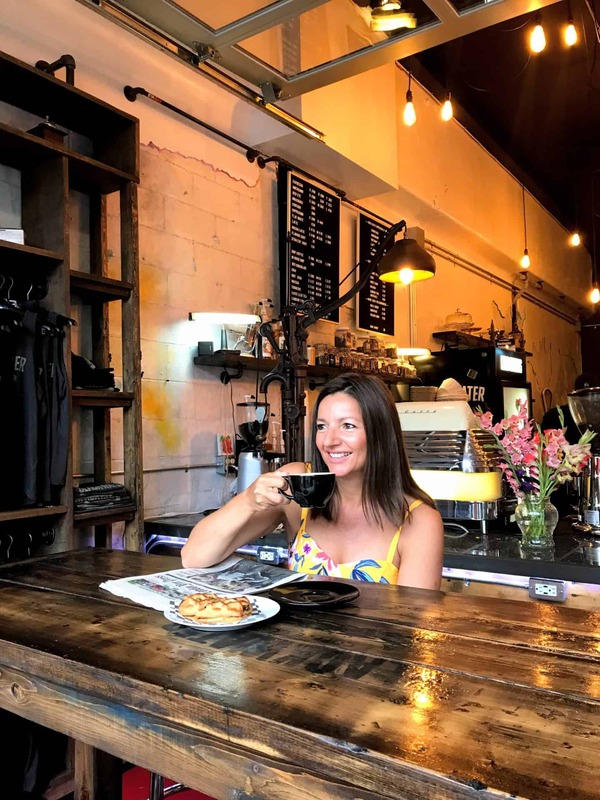 I always love discovering new coffee spots when traveling. Honestly, it’s hard to find a good cup of coffee, especially when on the road. 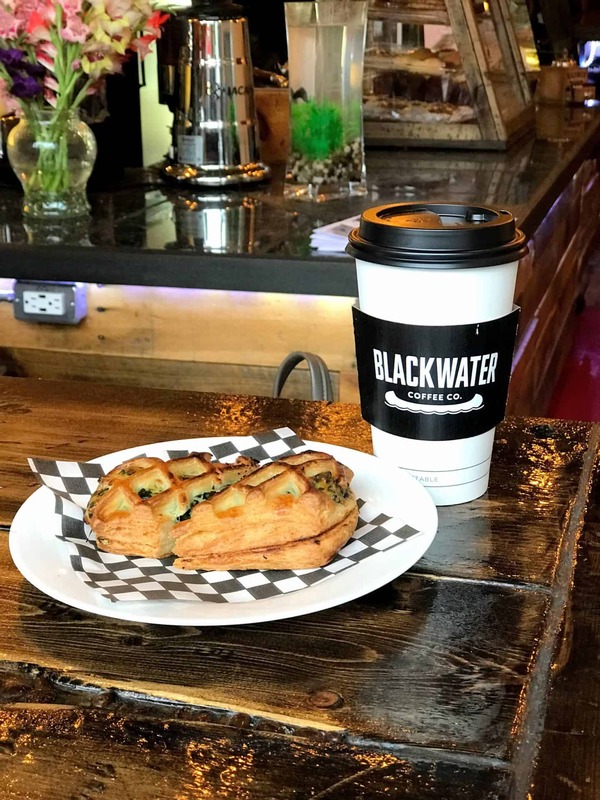 Blackwater Coffee is the perfect place to stop for fabulous coffee and a quick bite to eat. It has a great atmosphere with the friendliest people. 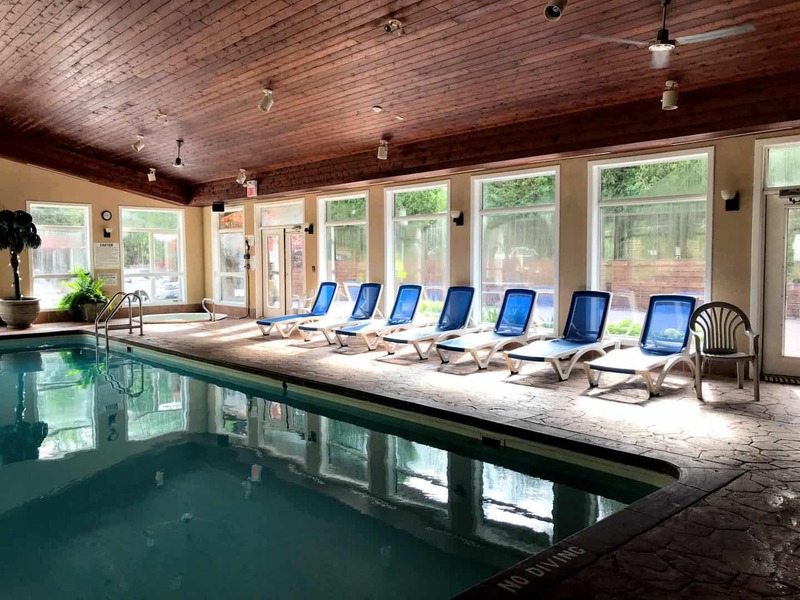 We spent one night at the Best Western Plus Guildwood Inn and we couldn’t have asked for a better location. The rooms are extremely clean and spacious. 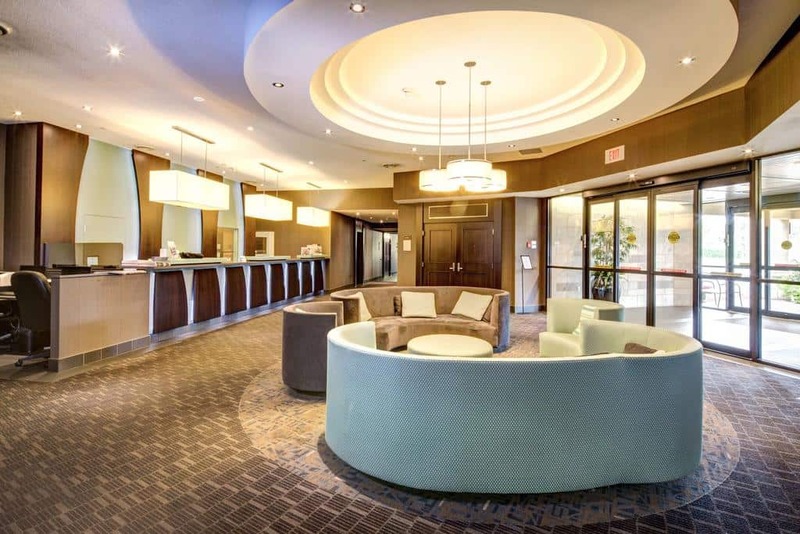 This hotel is located just minutes from the United States border and situated near many local attractions including Point Edward Casino. Click here for the latest prices. 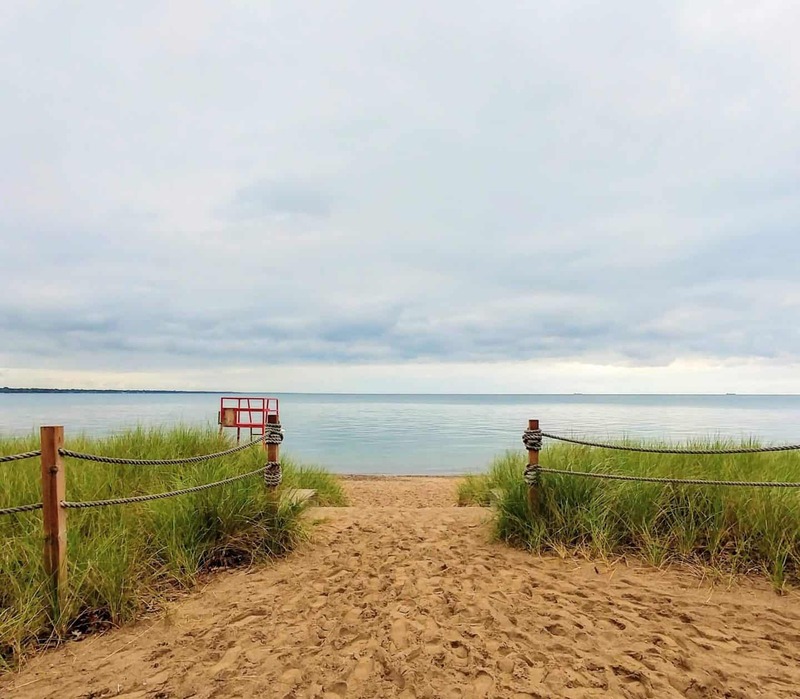 The Pinery beach is a breathtakingly beautiful park with 10 km of sandy beach on the shores of Lake Huron. Unfortunately, it was raining when we were there but that didn’t stop us. We just had to check out the beautiful beach. 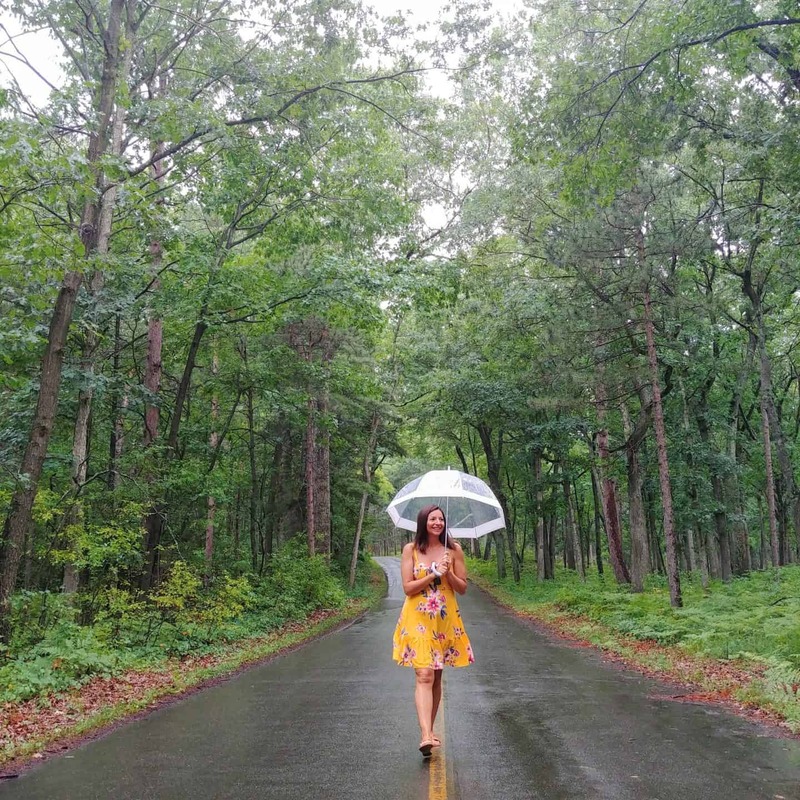 I loved the drive through the lush forest area that leads to several different beach areas. They offer 10 walking trails, a 14 km bike trail as well as ski trails. The sunsets are ranked by National Geographic as among the “Top 10 Best in the World”. I wish we had the opportunity to see it for ourselves. I guess we will have to return. 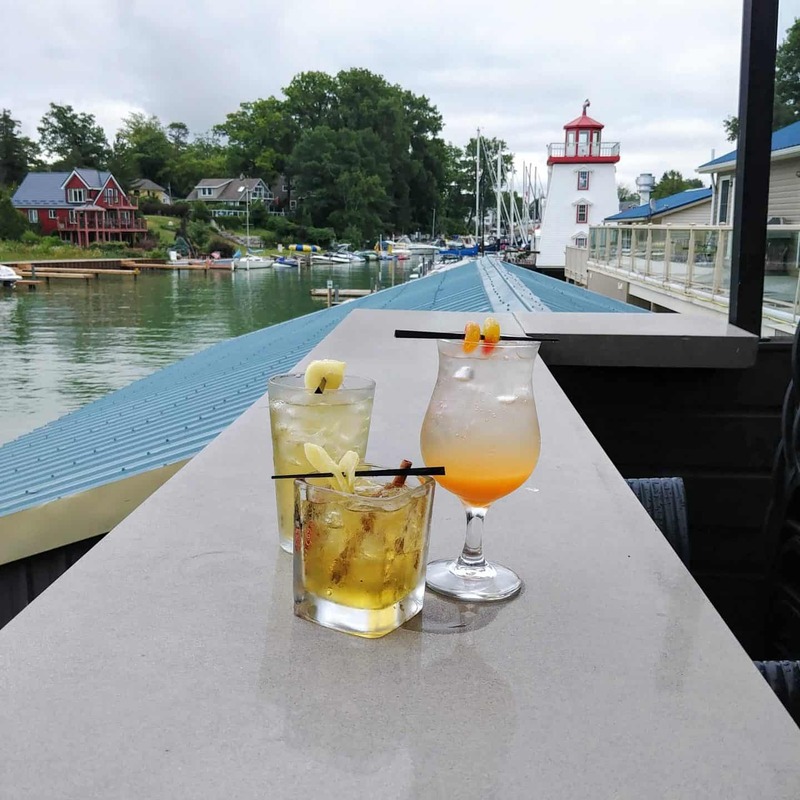 This small community beach town located in Southwest Ontario is a popular destination throughout the Summer months and I can see why. 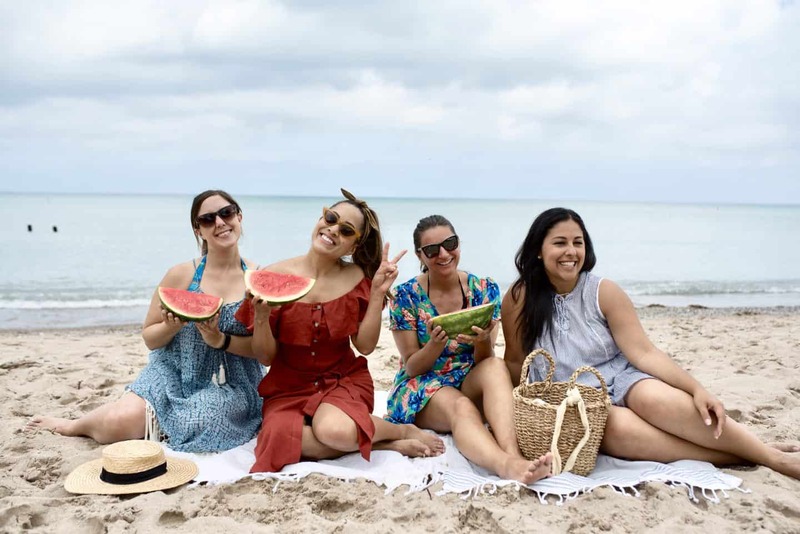 The beaches are absolutely stunning making it the perfect quick getaway from the city or stay longer for a wonderful beach family vacations. Grand Bend Beach is a popular destination and I can see why. This was my first time visiting the region and am absolutely surprised at the beauty of the beach. The water is so crystal clear that you would think you are in the Caribbean. 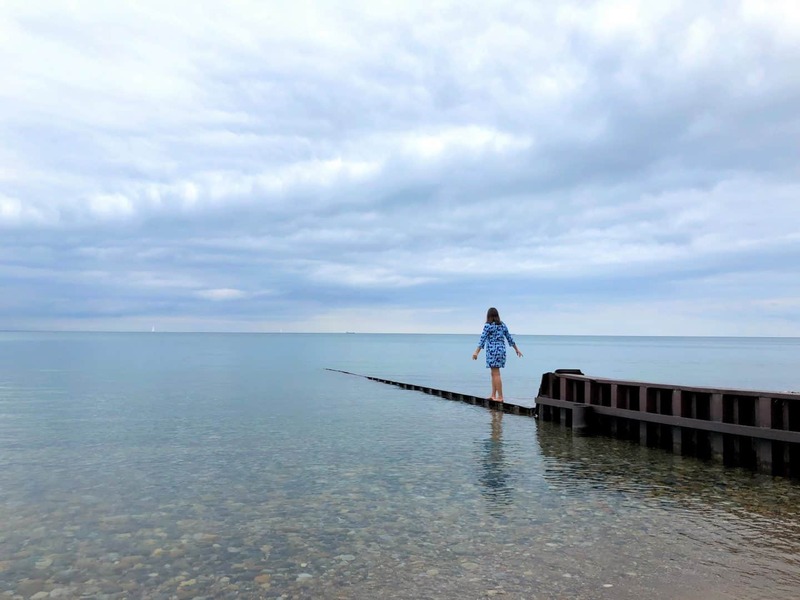 Grand Bend Beach is only one of 26 in Canada to have earned official Blue Flag status for its commitment to strict water quality and safety criteria. 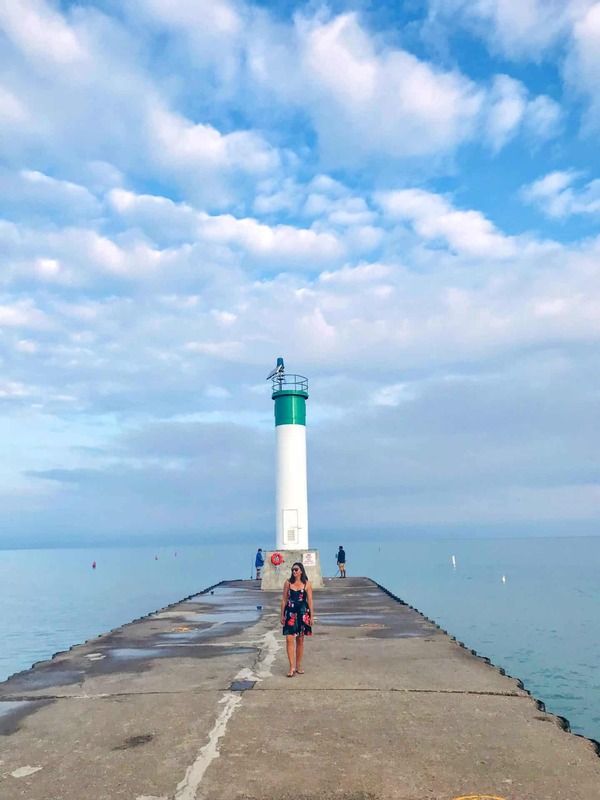 Check out this Beach Grand Bend Beach cheat sheet for even more tips! This is one of the best beaches in Ontario that I have seen. The main beach area is equipped with a splash pad, a playground and easily accessible to the many shops and restaurants on the main strip. Make sure to walk the boardwalk by the lighthouse. It is great for people watching as well as watching local fisherman reeling in their catch. Be sure to get there to catch the beautiful sunsets. This is the best place to dine to catch the best sunset views. There is indoor seating as well as a covered patio on the lower and upper level for the water views. 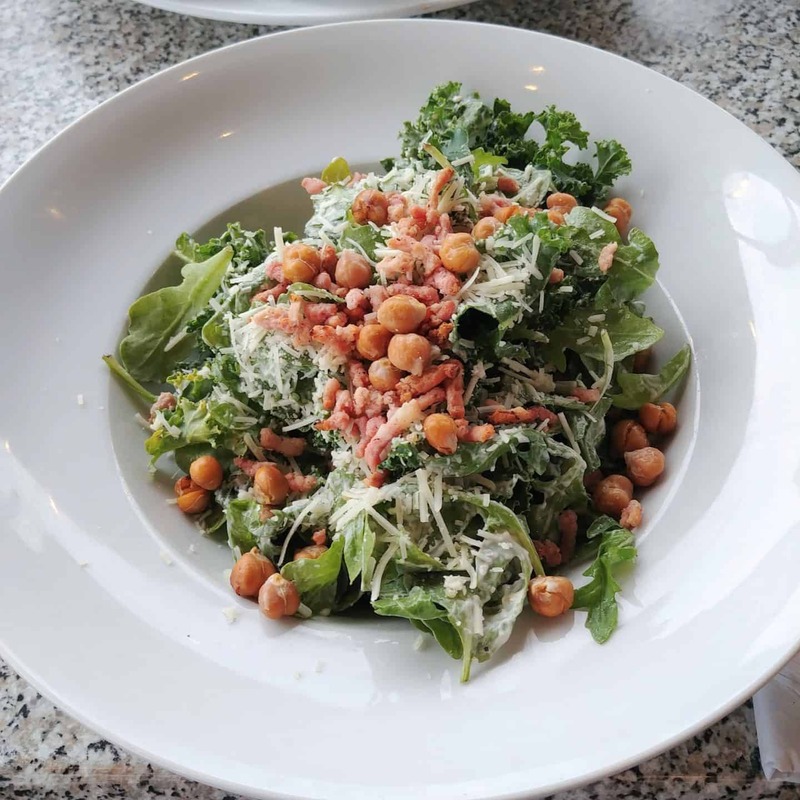 They offer a diverse menu with locally grown menu items. I had to try the perch tacos as it is the local fish. 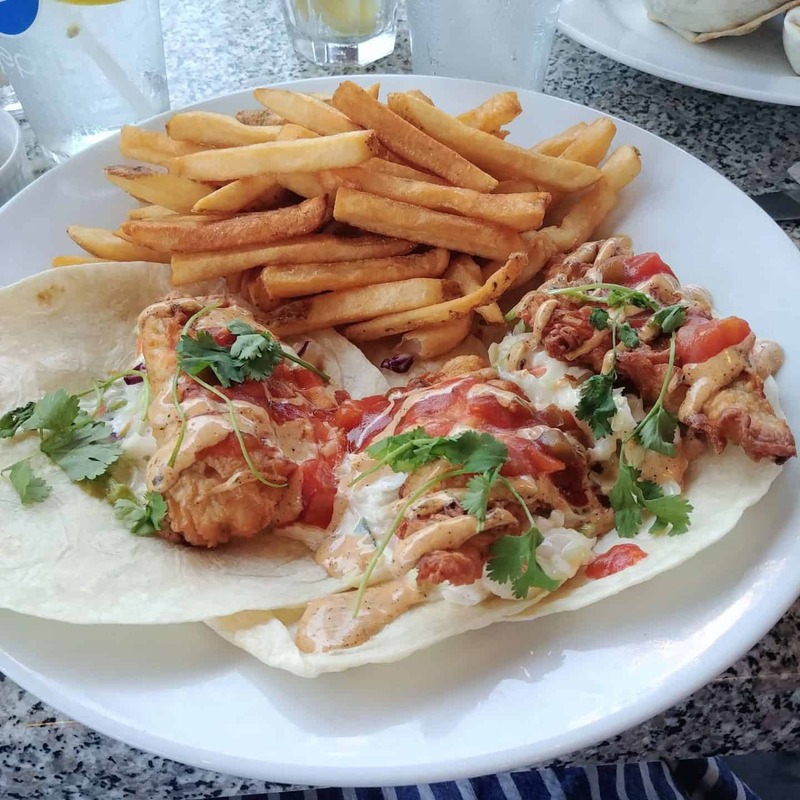 The fish was lightly beer battered topped with cabbage, avocado, cilantro, salsa and chipotle aioli served on a flour tortilla. 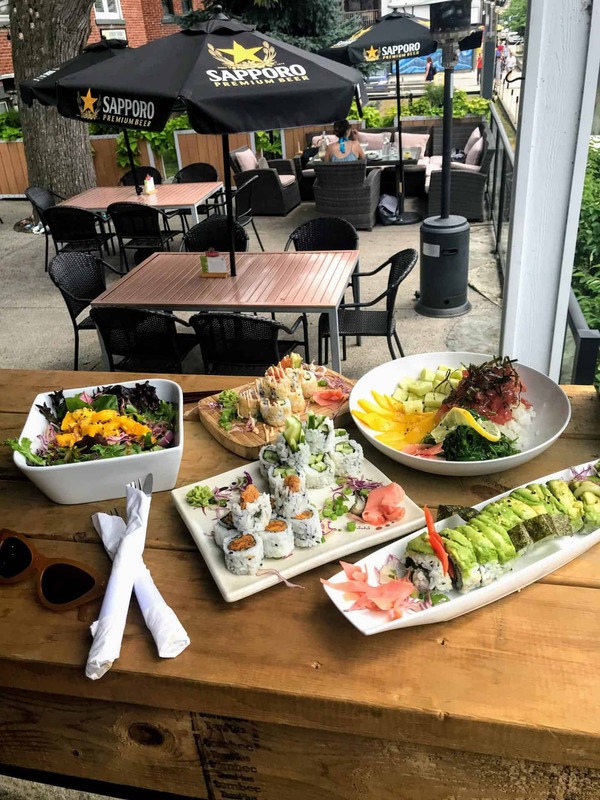 Midori is an upscale, newly renovated sushi restaurant located on the main strip in Grand Bend. They specialize in sushi along with other items such as salads, stir-fries, and other specials. 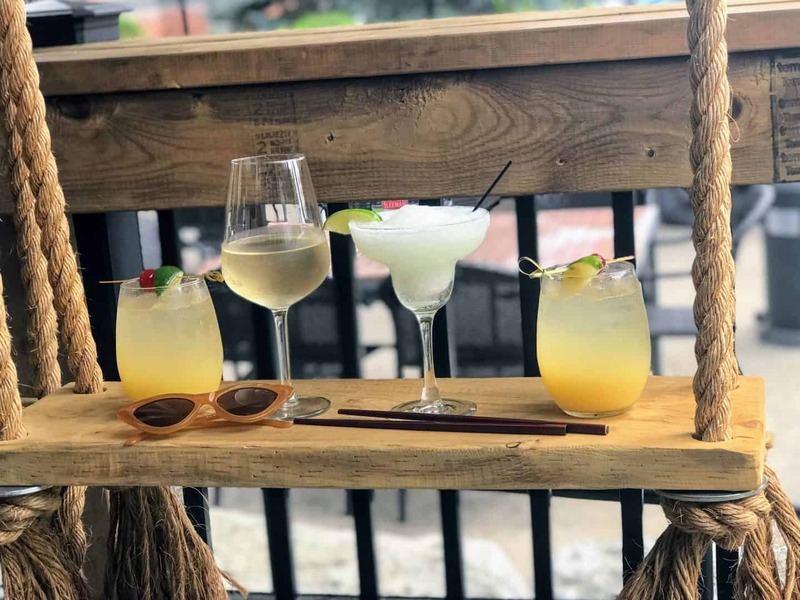 They have indoor seating as well as a large outdoor eating area and a covered patio with bar swings. 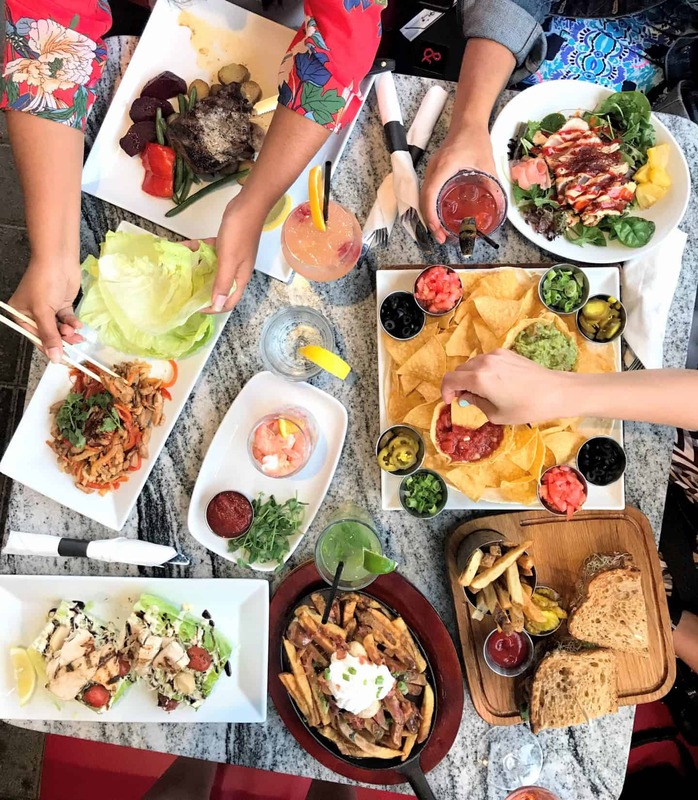 We ordered a little bit of everything such as the Mango salad, Tuna Poke Bowl, and the Green Dragon Roll. 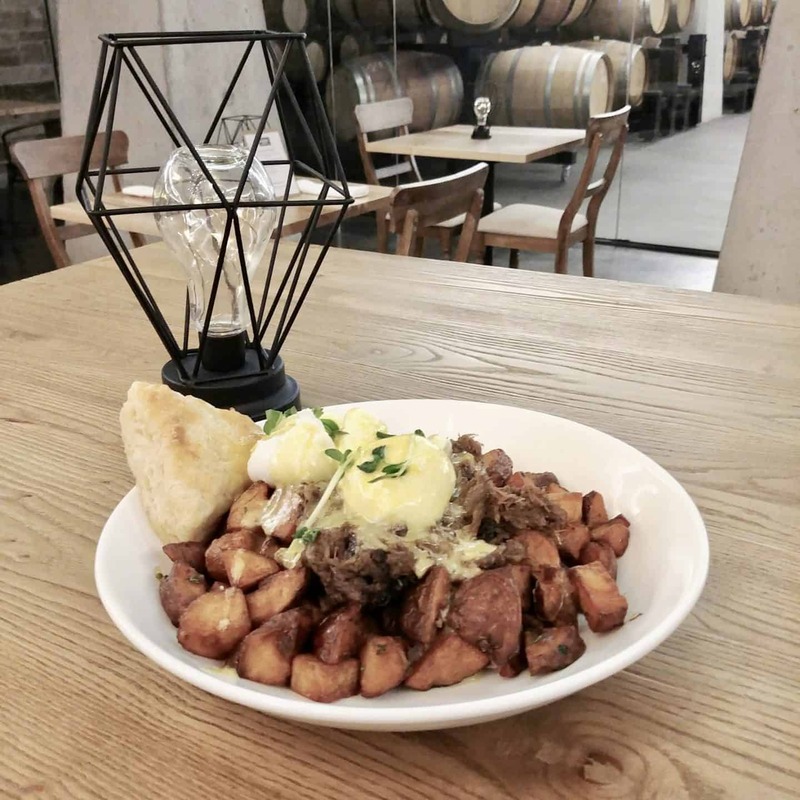 The Barrel Bistro is located in the Dark Horse Estate Winery. It is a beautiful restaurant with a private dining barrel room. 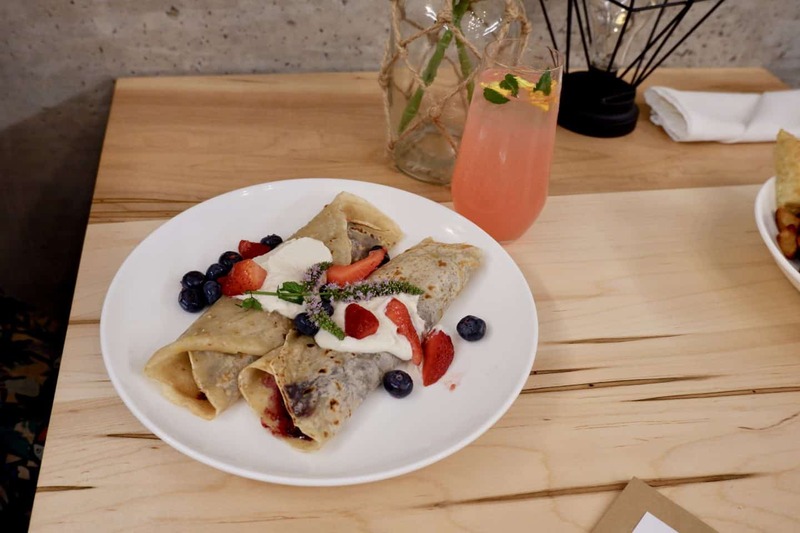 We feasted on a delicious brunch before heading for our wine tasting. 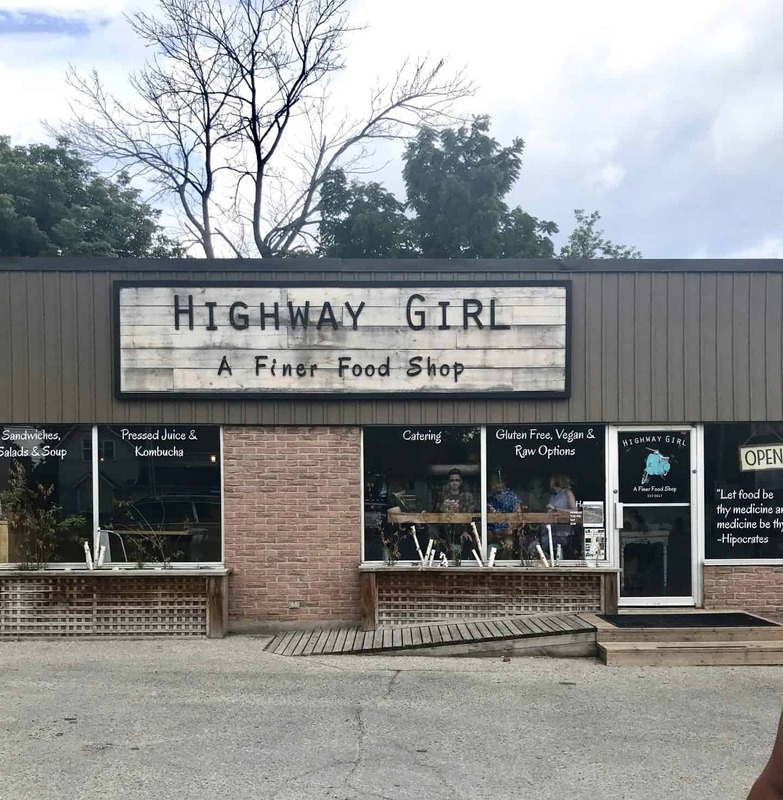 If you follow a gluten-free or vegan diet, then Highway Girl is the place for you. 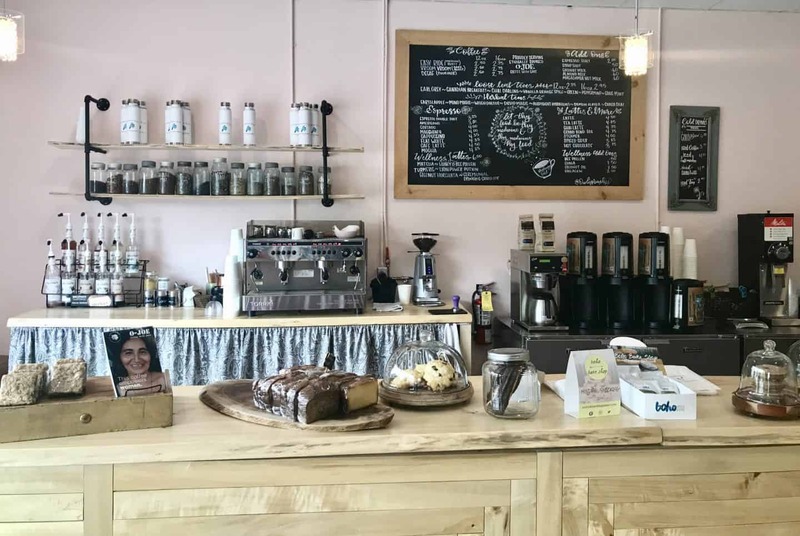 Even if you’re not gluten-free or vegan, you will love the selection of goodies and they also have great coffee. 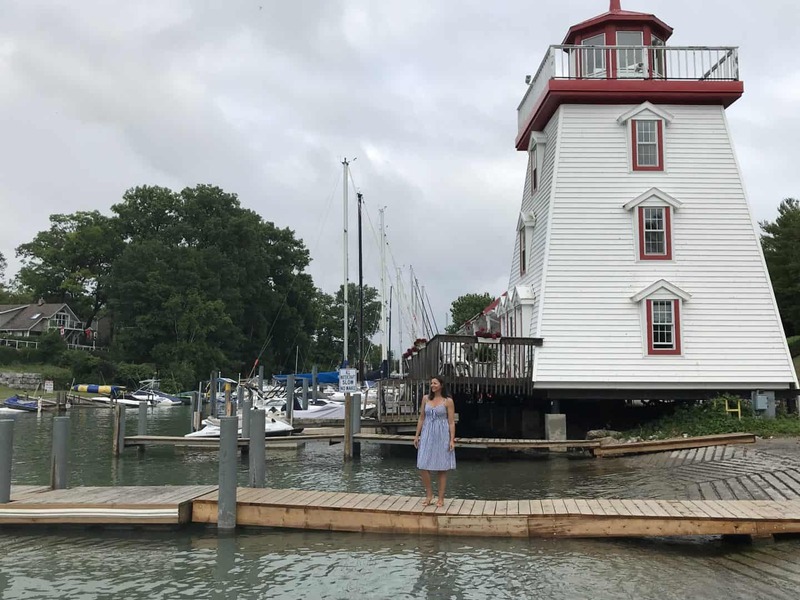 We spent a night at the Oakwood Resort in Grand Bend and I would highly recommend booking your next stay here. It is an ultimate getaway by the lake. 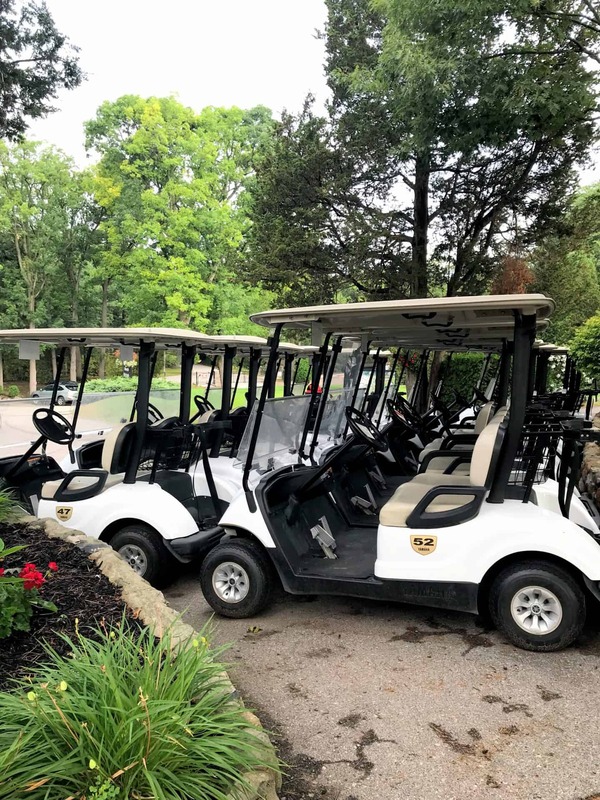 It is a wonderful family friendly resort that offers golf and your very own private beach access. The rooms are extremely spacious and comfortable and set on a tree-lined property. With 124 rooms, suites and cottages there is something for everyone. They offer golfing for the avid golfer, a Lakeside spa to pamper yourself and a beautiful beach just steps away from the resort. Click here for the latest prices. 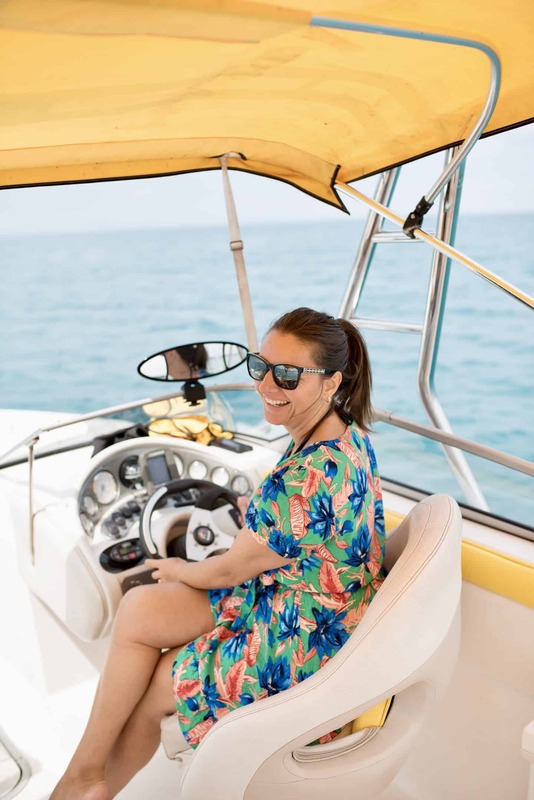 Xtreme Water Sports in Grand Bend has an extensive line of Seadoos, jet skis, and 3 person wave runners for rent as well as an exclusive jet boat charter service. 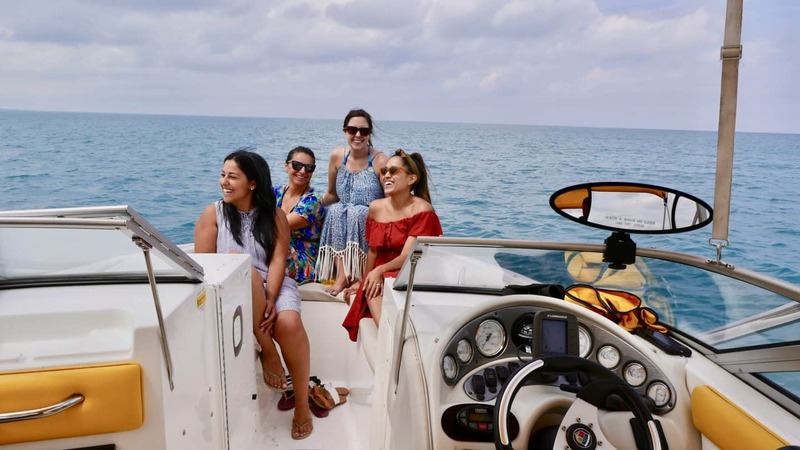 We were lucky enough to experience the boat charter service for a wonderful afternoon on the lake. We had a blast cruising on Lake Huron. The water was so beautiful and clear. We were scheduled to Parasail but unfortunately, the weather was not cooperating. 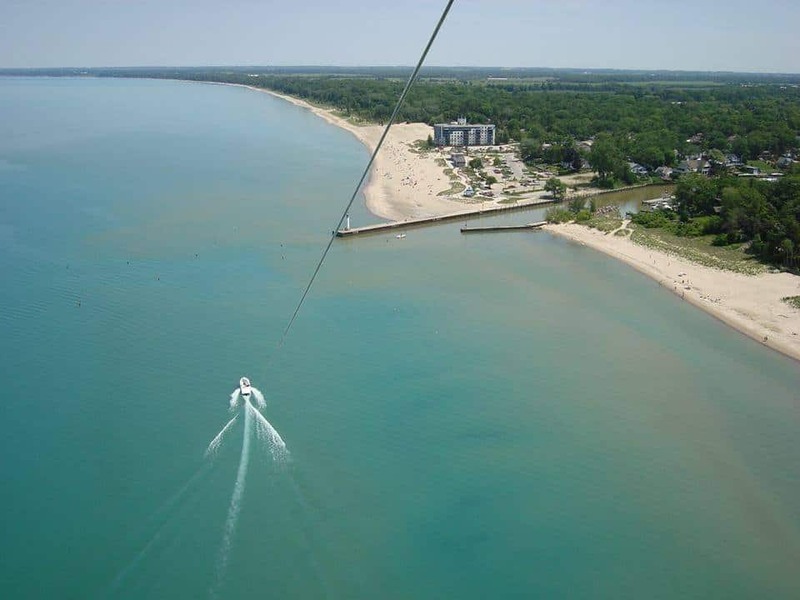 Grand Bend Parasail offers parasailing for singles, doubles, and triples. We will have to return to get a bird’s eye view of this gorgeous beach. 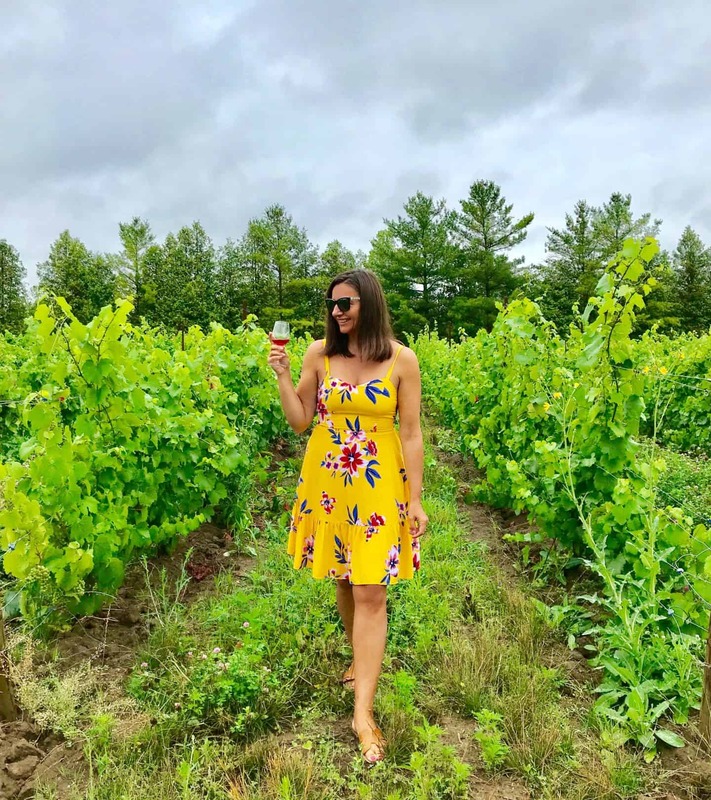 Ontario is home to some wonderful wineries but I didn’t know there were great wineries located in SouthWest Ontario. Marc and Anne Alton moved their young family in September 2005 to start creating their delicious wines. They handcraft 13 to 17 different wines each year. I love their growing practices to maintain their vineyards by keeping chemical use to a minimum as this disrupts the ecology of the vineyard. They produce some fabulous red and white wines and would highly recommend stopping in for a tasting. 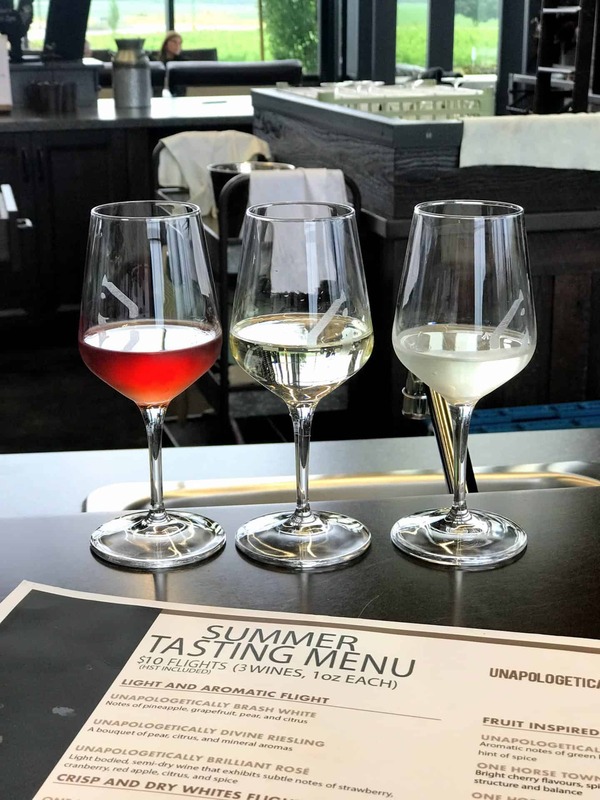 Simply select any three wines from their tasting menu for $8. They also have a wood-fired pizza oven on Friday’s and the weekends. My favorite wine was the Riesling. It is a crisp, medium bodied, straw colored white wine with ripe peaches, citrus blossoms on the nose and a floral bouquet. With fresh lemon juice, ripe granny smith apples and a perceived sweetness on the palate. 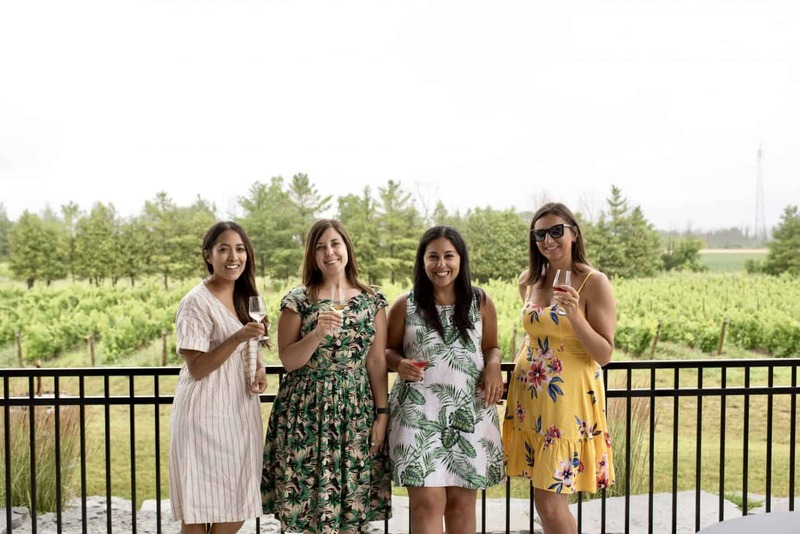 Dark Horse Winery is Ontario’s new destination for wine lovers. 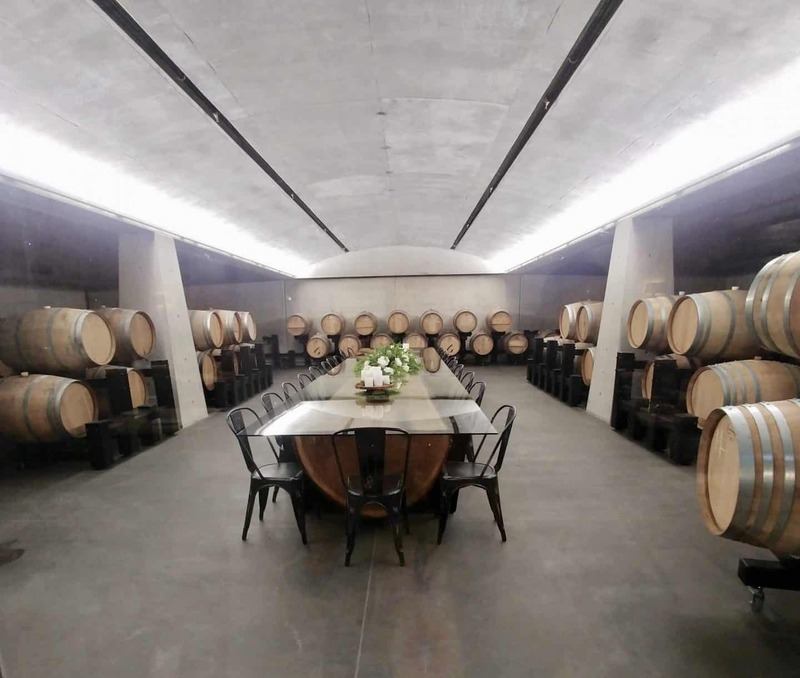 This 31,000 square foot winery is absolutely stunning and is equipped with state-of-the-art winemaking technology, full-service banquet and conference space that can comfortably accommodate 300 guests, wine cellar, tasting rooms, an elite VIP space, and patios overlooking the vineyards. 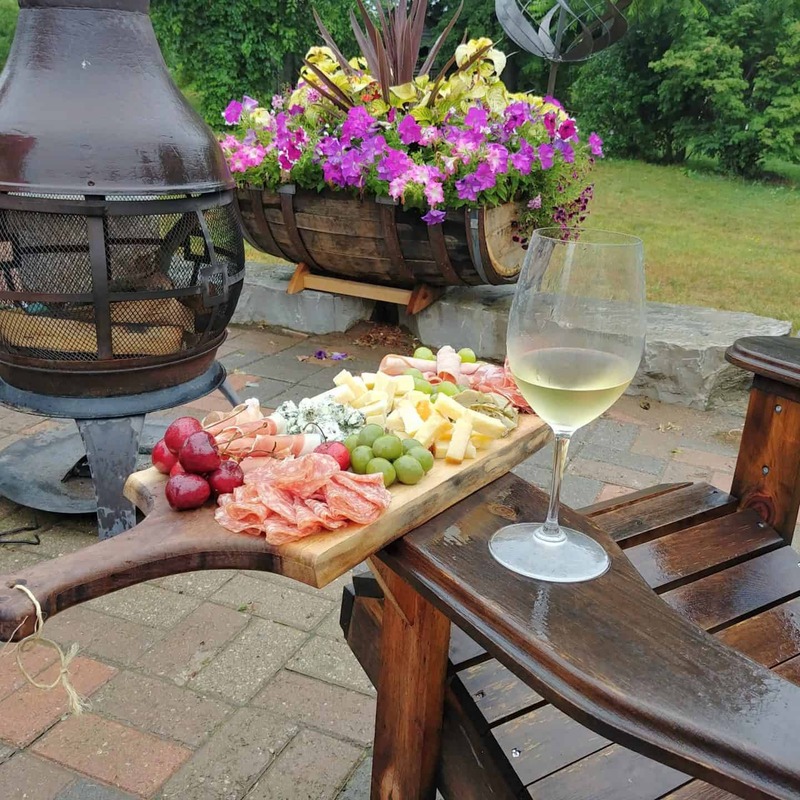 You can enjoy a wine tasting at the bar or enjoy your glass of wine on their beautiful outdoor patio overlooking the winery. My favorite was the 2015 Vidal Icewine. This luscious dessert wine is loaded with nectarine, apricots, and honey. Although they are very different, you must experience both wineries. 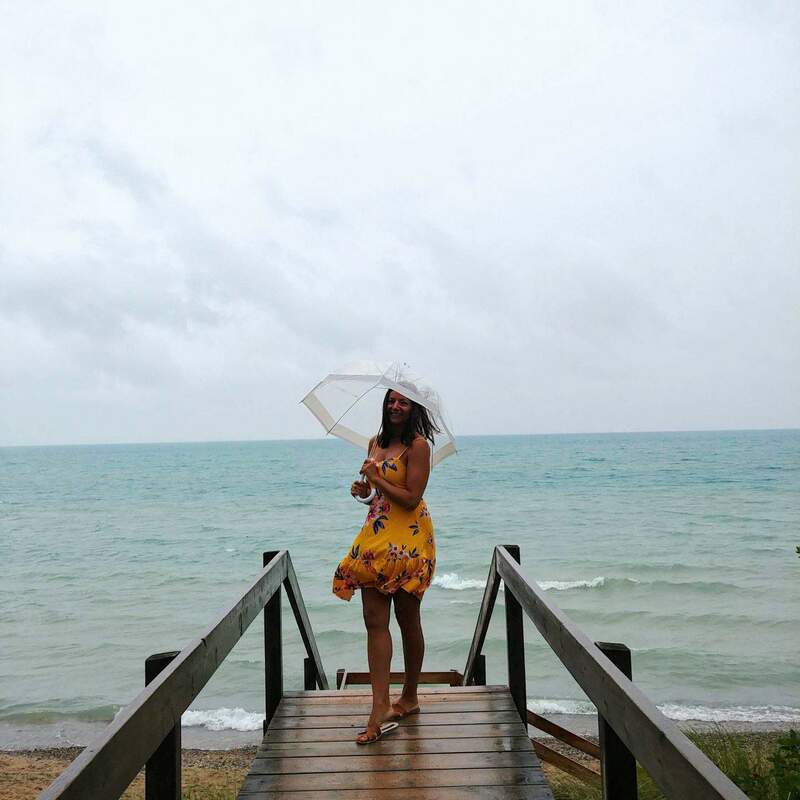 I had the most amazing time at the gorgeous beaches in Ontario’s Southwest. There is always something new to discover right in our own backyards. 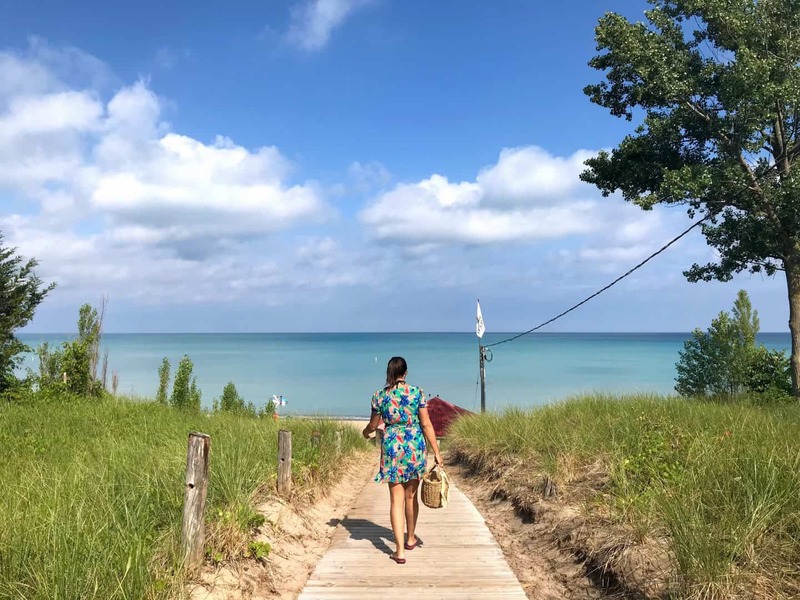 Southwest Ontario truly is beautiful and I would highly recommend booking your next getaway to Grand Bend to explore this gorgeous area. 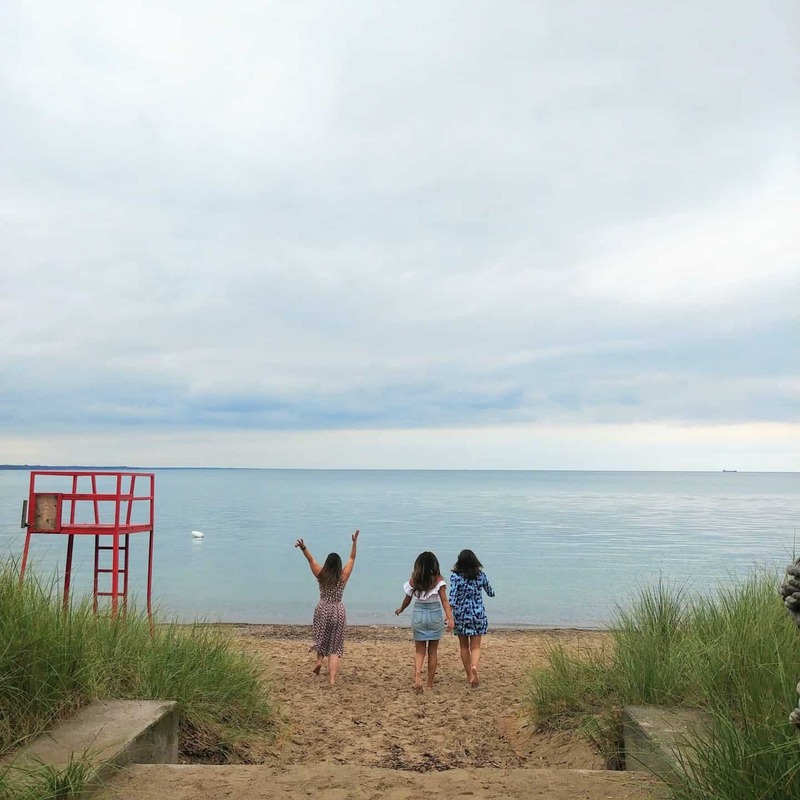 I have mapped all of our stops to help you get started on planning your road trip to Southwest Ontario beaches. A huge thank you to Ontario’s Southwest and Ontario’s Blue Coast for hosting us on this press trip. I had an amazing time with some lovely ladies, Solmaz of The Curious Creature, Lauren of Justin Plus Lauren, and Krystle of Dine and Fash. #GirlsTripOSW As always, all reviews and opinions are my own. I highly recommend a visit to all of the beaches in Southwest Ontario and hope to head back soon myself. Thank you Humara. I would highly recommend it as a family getaway – the kids would love the beach. Pretty awesome I must say Diana. Plus I’d not think of Southwest Ontario as a beach spot. So cool to me. Thanks for the rocking post and pictures. Thank you Ryan. I live in Ontario and am also surprised by the beautiful beaches. There is so much to discover in Ontario!! OMG you just reminded me of how much we ate on this trip lol. So much fun! And I love the map feature. We sure did eat a lot!! !